Born in Lima (Peru) based in Barcelona, Daniela has a great passion for painting and drawing and grew being surrounded by artists in her family. She has studied Graphic Design, Fine Arts, Illustration, and has worked in advertising since 2001 for various well known brands. Daniela likes a lot of detail in her illustrations, she also enjoys oil painting using thin paint brushes mixing different medias and experiment. She likes mixing reality (technique) , turning it into something unreal (concept). She likes the transformation of landscapes, animals, insects and human details. 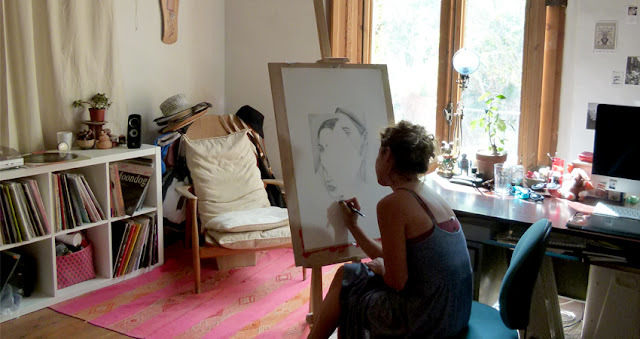 Daniela in her Studio, 2015.